Esbelt conveyor belts, round & vee belts for ceramic industry. 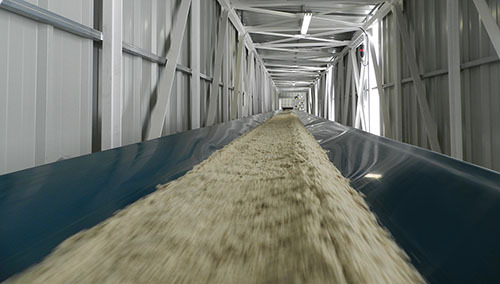 Find out about the advantages and benefits of our belts designed for use in the production of roof tiles, bricks, ceramic wall tiles and pavements. Highly resistant to chemical additives and mineral oils. 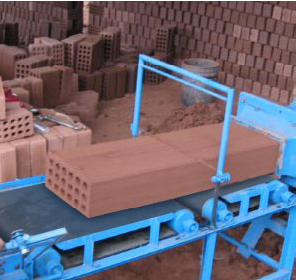 Resistant to temperature of atomized clay. Our Drago series belts, D20CC, D30CC and D40CC are commonly used in trough conveyors especially after the atomizer as our belts have proven to resist the high temperature of the atomized clay. For vertical bucket elevators, D30CC, D40CC, D81CC belts with high working load are recommended and our Vercan series polyamide buckets which are abrasion and temperature resistant are a lighter and more energy-saving choice compared to conventional metallic buckets. Our Breda and Hipro series belts are popular choices for conveying processed clay from molders, extruders, presses and cutters in roof tiles and brick production. Cleats and sidewalls can also be fixed to our Breda series belts which work efficiently as inclined conveying of powdered clay and minerals. 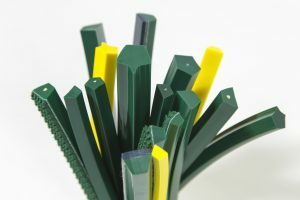 Although our green Drago, Breda and Hipro belts are most commonly used in the ceramic industry, we do have clients who prefer to use our Febor series white belts for conveying white clay. During the process of glazing, our PU round belts (RS and RK series) are used to convey the ceramic tiles through curves and the ridge top v-belts (PS & PK series) are used to carry the tiles fhrough liquid glaze. 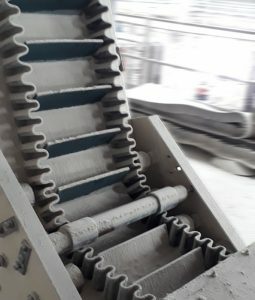 For general conveying of the tiles, our trapezoidal vee-belts (TS and TK Series with rough top covers) are the preferred choice in many ceramic tile production plants. Drago 30CC conveying atomized white clay. 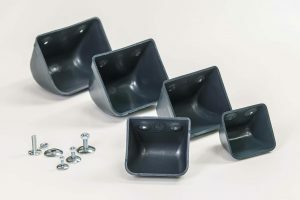 Inclined Breda belt with cleats & sidewalls. Breda belt in brick cutting line.